Monday | May 15, 2017	It is time to take a BREAK! 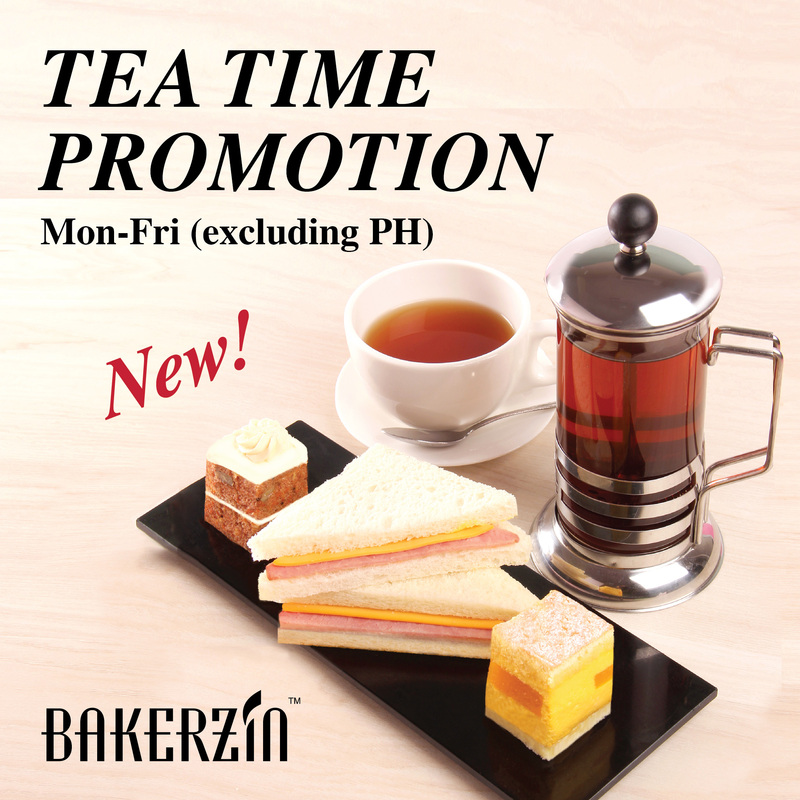 Indulge in a tempting selection of sweets and savouries with a choice of freshly brewed coffee or tea from Bakerzin Afternoon Tea Set at $8.80 only ! Afternoon Tea Set is available from Mondays to Fridays (excluding PH), 2:30pm to 5:30pm.